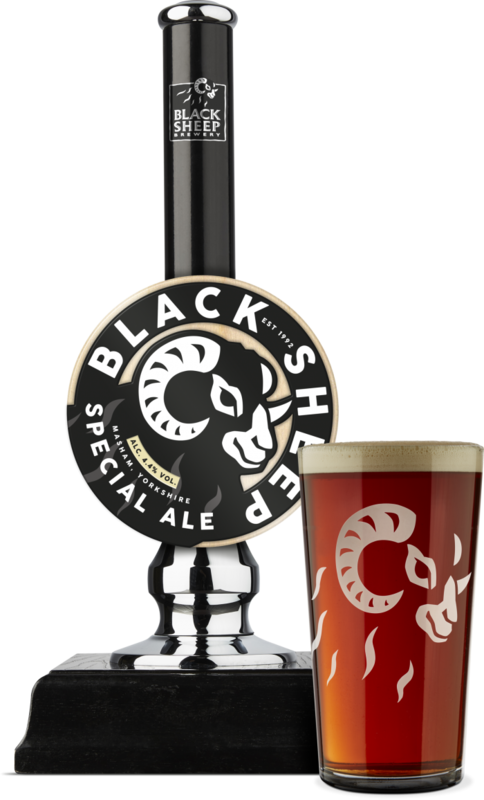 Special Ale was the second beer we ever produced here at Black Sheep and remains a favourite in our portfolio. A robust and agile amber ale, first introduced to our range in 1994, Special Ale carries an explosion of fruit on the aroma and palate with the fruity esters offering notes of raisins and pear drops. The malt blend provides notes of toffee, caramel and biscuit which balances perfectly against those flavoursome British hops. Superbly bittersweet and an icon of our range, Special Ale holds a special place in our heart. Pear drops, caramel and a touch of toffee. Dark fruits hit the palate whilst the malt offers those sweet toffee and biscuit flavours. Try with full flavoured, rich pies like steak and gravy.